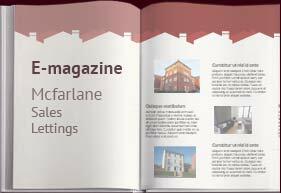 McFarlane Sales & Lettings are an award winning local independent Estate Agents specialising in Residential Sales, Residential Lettings and Property Management. Established in 2004 and with over seventy years of combined experience, we have developed an extensive knowledge of the local property market enabling us to offer a wide ranging service that is both friendly and professional as befits our reputation. We offer the traditional values you would expect from an established firm and combine these with the latest innovations in marketing, advertising and technology. Our two offices are located in prominent positions in the towns of Swindon and Cricklade and work closely together to cover these areas and their surrounds.